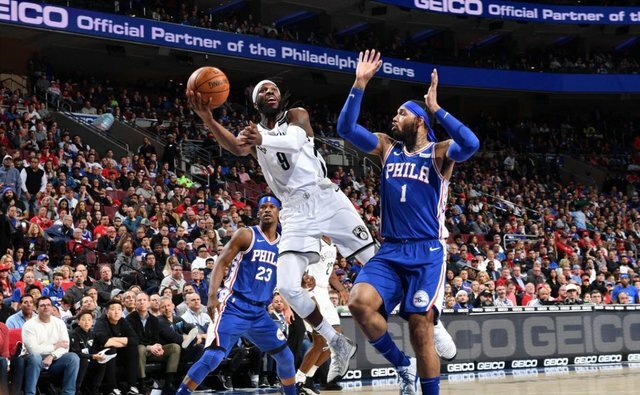 The (#6) Brooklyn Nets and (#3) Philadelphia 76ers will ring in the 2019 NBA postseason with an 11:30 AM PST / 2:30 PM EST tipoff at Wells Fargo Center. People are split on this Sixers Nets series. Half the world believes that Philadelphia will completely wash the Nets while the other side thinks that Brooklyn could put up a surprising fight against the up-and-down Philadelphians. 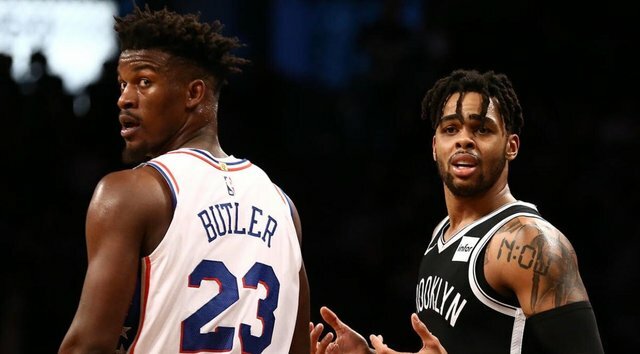 Brooklyn surprised us all this year with a 42-40 campaign for the 6-seed thanks to incredible team chemistry and the All-Star contributions of D'Angelo Russell. After battling injury woes in his first year with the Nets, Russell truly came into his own after Caris LeVert fell victim to a serious injury. The budding star averaged 21.1 points, 3.9 rebounds, and 7 assists on 43.6 FG%, 36.9 3PT% on the year. The Brooklyn faithful are hopeful that D'Angelo can make them proud in their first trip back to the postseason since 2015. They split the season series 2-2, so there's hope that they can pull those winning elements from previous games. If Philly is engaged and all systems go, then yes I think this series can end in five games. I don't think they're going to properly estimate the Nets though. Heading into the postseason, Philly didn't look like they were ready to take over the world, stumbling to a 4-6 record in the final ten regular season contests. This year is a lot different than last year, when Philly rallied to a top 3 seed and were just happy to be a part of the postseason. Back then it was, "Let's see how far the boys can go! ", whereas now it's, "I hope we don't get eliminated too early." Expectations have taken root in the Sixers culture, and nows the time where they'll make it or break it. Ben Simmons talent is no longer a novelty. Brad Stevens and the Celtics showed everyone how to make life miserable for Philly's best initiator in last year's Eastern Conference Semi-Final. You clog his driving lanes and take away a good amount of the transition points that are so capable of rallying the team and crowd. Then, you play 50 feet off of him on the perimeter daring him to shoot (which he won't). The Nets don't exactly have the same defensive personnel as last year's Celtics, but watch for them to cover up everyone else so as to force Ben to become a jump shooter. Joel Embiid will have to take this series in his hands with his iso opportunities in the post. 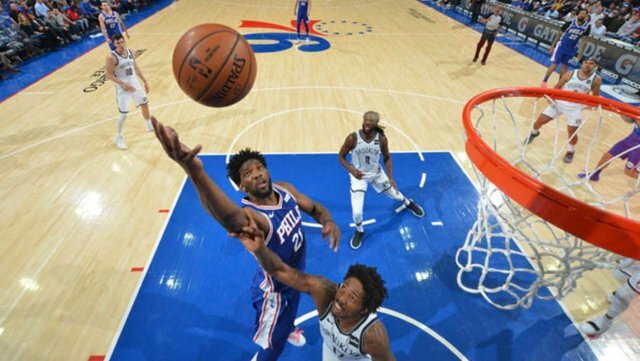 Jarrett Allen of the Nets is a shot blocker, but he can't lock down Embiid for a whole game. Look for him and Ed Davis to monitor him with double teams if he gets too hot. A guy like Al Horford always gives Embiid trouble with his defensive prowess in the post. If Kenny Atkinson is smart, he's playing back tape of Horford's playoff defense on Embiid in Brooklyn film sessions. 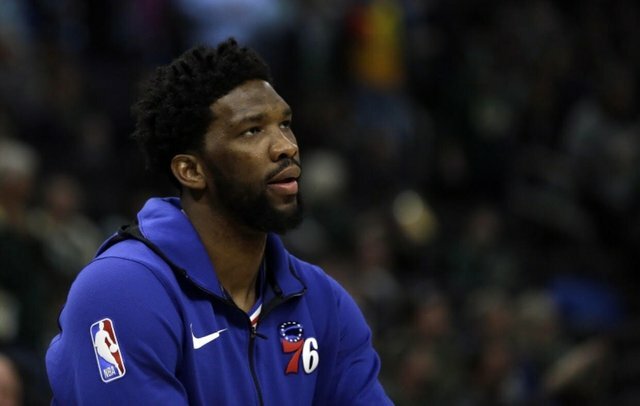 Speaking of Embiid, there are rumors floating that he may miss Game 1 with a sore left knee. When questioned by reporters about whether he'd suit up he responded with a cold, "I have no idea.". The pain started surfacing after the All-Star break according to reporter Rosalyn Gold-Onwude. It's considered a day-to-day injury right now, but the New York media isn't buying the seriousness of the injury. They're bracing themselves for the full-on Joel Embiid experience. If Jojo isn't 100%, they still theoretically shouldn't have problems scoring the ball. GM Elton Brand did deal for Jimmy Butler and Tobias Harris midseason after all. If there's any starting five that's capable of challenging the Warriors head-on in terms talent, it's the Ben Simmons, Joel Embiid, Jimmy Butler, Tobias Harris, JJ Redick fully engaged Philadelphia 76ers. This is a @steemvoter subscription payment post. Thank you to Steemvoter customers for allowing us to use your Steem accounts to upvote this post by virtue of your free subscription to the https://steemvoter.com bot service. @steemvoter is proudly a @buildteam subsidiary and sister project to @steemsports, @steemsports-es, @steemsports-ita and @minnowbooster.